Don’t let weak language sabotage your sales talks. Mark is a smart, professional salesperson who is passionate about helping his customers succeed. I accompanied him on a sales call recently where he presented his customer with a solution that would quickly and cost-effectively solve a key issue the customer had been struggling with for years. So why was the customer’s reaction more “Ho hum” than “Let’s go!” after Mark finished? I’d just like to take a minute to summarize what we talked about. I think this may be a good fit for you. You can kind of see here the status of your inventory. I hope you’ve seen some things you’ve liked. I’m sorry we weren’t able to get to some of your questions. No salesperson sets out to sabotage his or her own sales call. But tempering or softening bold statements in order to avoid sounding aggressive or arrogant can lead to weak or “squishy” language. A fear of committing to a position or potentially being wrong can cause a presenter to substitute vague and uncertain words for more specific and confident ones. While this self-sabotage can seem innocuous, the results can be costly and result—as in Mark’s case—with a customer who is uncertain and unconvinced about you and your product or service. Identify the weak language you are using with customers. Understand the impact that language has on your customer. Replace weak words with more powerful words. For example, let’s look at the weak statements Mark used in his meeting and how he could have improved them. If you’d like to do something, go ahead and do it! The word “just” diminishes the importance of everything coming after it and sounds as if you’re apologizing for it in advance. When you have something of value to say (like reviewing what you spoke about last time), there is no need to apologize. “Just” say it! Better: Let’s quickly review what we talked about last week. Better: Based on what you shared with us, this would be a great fit for you. By using vague or dismissive words, you allow dangerous doubt to creep into your customer’s mind. Can you “kind of” see it—or can you “really” see it? Some people grow up learning to downplay their gifts or achievements, but that false humility doesn’t serve anyone in sales. By using vague or dismissive words, you allow dangerous doubt to creep into your customer’s mind. Use specific and clear language whenever possible. Better: This report shows you precisely why you’re losing inventory. Ah, closing with a wish and a prayer! Salespeople often use the word “hope” to avoid asking the tough questions and finding out what the customer really thinks about what they’ve seen or heard. If you’ve communicated your offering to your customer to the best of your ability, you have nothing to lose—and much to gain—by asking the customer a direct question. If the answer is positive, it’s great reinforcement for the customer to hear themself say it. And if it’s negative? That’s valuable information, and it’s always better to find out right away so you can address it in the moment. Better: What have you seen that you liked today? Don’t be so quick to apologize. It’s often disempowering, sometimes insincere, and potentially annoying—especially when it becomes chronic. Limit your apologies to only those things you can control or try turning an apology into a positive. Better: This was a great discussion. Let’s plan a follow-up call so we can cover the questions our time didn’t allow us to get to today. Take ownership of your ideas and the words you use to express them. Eliminate weak, self-sabotaging language from your vocabulary and your confidence will soar—along with your customer’s confidence in you and your product or service. 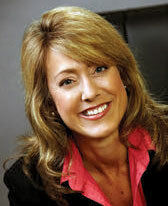 Julie Hansen is a professional sales trainer, speaker, and author. 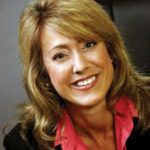 She authored the book ACT Like a Sales Pro in 2011 and has been featured in Selling Power, Entrepreneur, and Sales and Service Excellence magazines. She can be reached at julie@actingforsales.com and www.actingforsales.com.